Today, corporate endpoints represent one of the top areas of security risk for organizations. As malicious actors increasingly design their attacks to evade traditional endpoint prevention and protection tools, organizations are looking to endpoint detection and response (EDR) for additional visibility, including evidence of attacks that might not trigger prevention rules. However, while many security teams recognize the need for advanced threat detection for endpoints, most do not have the resources to manage a standalone EDR solution. 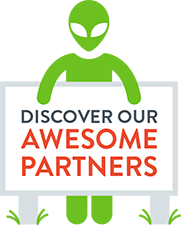 AlienVault® can help. AlienVault USM Anywhere™ eliminates the cost and complexity of adding yet another point solution to your security stack. Instead, USM Anywhere delivers EDR as part of a unified platform for advanced threat detection, incident response, and compliance. The platform centralizes and automates threat hunting on endpoints across your cloud and on-premises environments, so you can detect and respond to threats wherever they unfold. And with continuous threat intelligence from the AlienVault Labs Security Research Team, your defenses stay current as threats evolve. 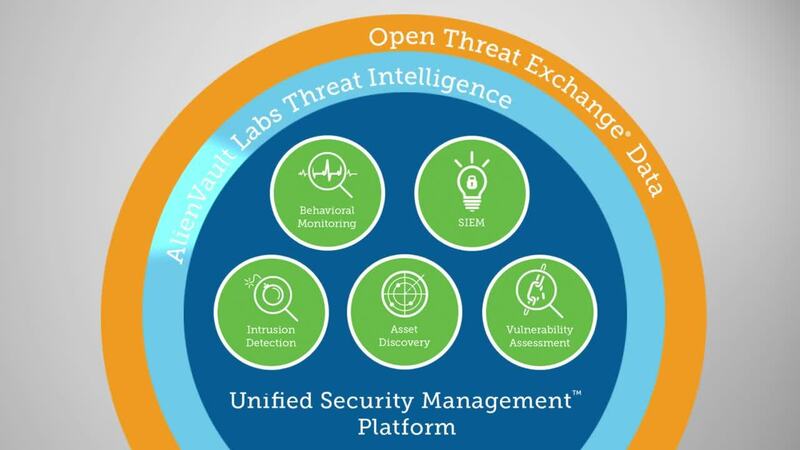 Unlike point security solutions, USM Anywhere combines multiple security capabilities into a unified cloud platform, including EDR, SIEM, network intrusion detection, FIM, vulnerability assessment, and more, giving you the essential security capabilities you need in a single pane of glass, while drastically reducing cost and complexity. With EDR capabilities built into USM Anywhere, you can centralize security monitoring for your endpoints and networks across cloud and on-premises environments. When it comes to incident response, speed matters. For example, if you detect malicious activities in your network traffic, such as a host communicating with a known command and control server, your investigation will likely include querying the host for more information, like a list of running processes and network connections. However, if you have to work across multiple security tools to collect that information and then manually correlate it, it can slow down your investigation and delay your response. Instead, USM Anywhere automates threat hunting and prioritization, enabling faster and more effective incident response.  Unlike point solutions that only detect endpoint threats, USM Anywhere detects modern threats wherever they appear. The unified platform intelligently correlates events from the network, cloud, and endpoints, giving you the best position to detect threats early and confidently. With USM Anywhere, you can investigate and respond to security incidents faster with all of the relevant threat information you need in a single pane of glass. Because USM Anywhere consolidates relevant information on every alarm, including the affected asset, its vulnerabilities, related network and endpoint events, step-by-step response guidance, and even direct links to OTX threat intelligence, you can immediately orient yourself to the incident. USM Anywhere automatically detects advanced endpoint threats, including those designed to evade traditional antivirus tools, using continuous threat intelligence from AlienVault Labs. The AlienVault Labs Security Research Team works on your behalf to research emerging and evolving threats in the wild and continuously updates USM Anywhere with the latest actionable threat intelligence, including correlation rules and endpoint queries. This allows you to automate threat hunting activities so that you can focus your resources on incident investigation and rapid response. USM Anywhere accelerates your incident investigation and response activities through its proactive endpoint queries, advanced security orchestration, and incident response automation capabilities. 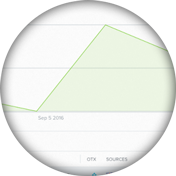 You can proactively query your endpoints at any time to get additional endpoint data that adds context to your threat investigations. And, directly from an alarm, you can trigger other forensics and response actions. For example, you can select to shutdown or disable networking on an asset, open an issue in ServiceNow or Jira, or notify your team through Slack or PagerDuty. With the ability to automate orchestration and response actions, you can work faster and more efficiently to contain threats. While standalone EDR solutions offer endpoint visibility, they do not provide complete visibility of your entire environment. For that, you must also have visibility of the activities happening across your on-premises networks, your public cloud accounts, and your business-critical cloud apps, like Office 365 and G Suite. Siloed approaches to security monitoring can leave blind spots in your security program and create additional overhead as your team must maintain and work across multiple, disparate systems to investigate and respond to threats. To achieve complete and centralized security visibility of all your critical assets, you must have the skills and resources to integrate multiple tools and data sources. With USM Anywhere, you get complete, centralized security visibility and monitoring of all your critical assets, so you can investigate your security incidents faster with a full context of what’s happening on your networks, cloud environments, and endpoints, even when they’re off the corporate network. In one unified platform, USM Anywhere combines the essential security capabilities and actionable threat intelligence you need to detect and respond to modern threats everywhere they appear. With centralized security visibility of the activities on your endpoints, cloud platforms, cloud apps, and on-premises networks, you can detect threats earlier, investigate and respond faster, and accelerate your compliance efforts. Standalone solutions make it challenging for security teams to demonstrate compliance, requiring manual effort across multiple systems to prepare for each audit. AlienVault takes a different approach. Built as a unified platform for security and compliance management, USM Anywhere accelerates and simplifies compliance readiness by enabling security teams to monitor all their critical environments in a single pane of glass. With capabilities such as built-in file integrity monitoring, pre-built reporting templates, and centralized log management, USM Anywhere drastically reduces the time, resources, and costs associated with compliance. Many compliance standards require that you perform file integrity monitoring (FIM), including PCI DSS 3.2. With the built-in EDR capabilities of USM Anywhere, you can accelerate your compliance efforts without having to introduce additional file integrity monitoring (FIM) software. USM Anywhere automatically detects suspicious or anomalous changes to your critical files and registries on Windows and Linux as well as your cloud locations like Office 365 Sharepoint and G Suite. And, because USM Anywhere provides a consolidated view of up-to-date asset information, including running software and services, vulnerabilities, changes made to key files, and security events, as well as pre-built compliance reporting templates, you can quickly and easily point to that information during a compliance audit. Log management is a basic tenet of any security and compliance program, yet most endpoint security solutions fall short of providing the complete, secure endpoint log management capabilities required for forensics investigations and compliance purposes. Managing endpoint logs separately in a SIEM and in an EDR solution is cumbersome and inefficient. With USM Anywhere, you can centralize and simplify all your security and compliance logs in one secure cloud location. USM Anywhere automatically collects and stores your network and endpoint log data, including timestamped raw logs, in the AlienVault Secure Cloud, a certified compliant environment. This alleviates the burden of having to manage and secure logs on premises, while providing a compliance-ready log management environment. USM Anywhere includes a library of pre-built templates that you can use to produce rich reports to demonstrate compliance during an audit. At deployment, USM Anywhere delivers reporting templates for Windows and Linux file integrity monitoring, which can support your PCI DSS compliance efforts. In addition, the pre-built reporting templates for AlienVault Agent events, including for command history, Docker containers events, login activity, and more, make it simple to get the visibility you need to monitor endpoint activity.